Big, strong lead guard who excels at getting into the lane. Has unique size and strength for the PG position and uses his body well to shield defenders and protect the dribble. Sees the floor well and has pure PG instincts. Has long arms, broad shoulders and nice hops. Can rise up and dunk with ease and has the power to hold his own in the lane. Does a nice job of changing speeds to get the defender off balance. Has a variety of spin moves and crossovers and a knack for getting to the rim. 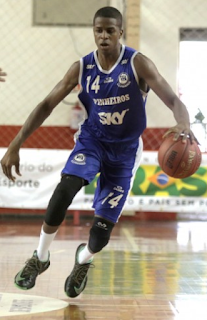 Has a high ceiling as a defender thanks to his size, length, strength and quickness. Not a great shooter at this point and needs to put in a lot of work to round out this part of his game. Needs to improve his off (right) hand.